What Is A Steal / Stealing In Poker? - Casino Answers! 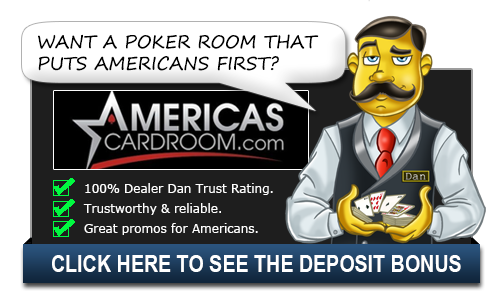 Casino Answers » Poker » Online Poker Beginner Q&A » What Is A Steal / Stealing In Poker? In poker, a steal is a kind of bluff. It is a raise in a round of poker on an inferior hand, with the purpose of showing strength and coercing players with superior hands to fold. Steals are most appropriate late in a hand when a number of players have already folded, or when there are only a few players in the game. The steal, known as an “ante steal” or a “blind steal,” will not win large amounts of money, but can accumulate a decent take over time if the player to the left of the stealer doesn’t contest the steals. The steal is a move used primarily by an aggressive player, often with a number of chips already won. If the steal is not successful, and the opposing player does not back down, the stealer is looking at a loss. Repeated steals are not advisable when playing at a table with experienced players, because an experienced player will notice the pattern and raise a defense against the act. That player may reraise against the stealer to call his bluff and to build the ante, leading the stealing player to lose more than was originally at stake. A stealing play, therefore should be used sparingly to avoid detection. While steals can work in cash games with a large stack, they are most effective in a tournament setting when people with smaller stacks are wary of being put all-in and thus possibly being eliminated from the tournament. Even with the dominant stack, this move shouldn’t be used more than sparingly as you can go from being one of the chip leaders to be in your opponent’s position quicker than you would like. Many players also use this strategy in a pre-flop situation to steal the blinds of other players. This is usually done when you are on the button and the blinds are the next two players to act. You can do this with a good hand or a weak hand, as it’s mostly about raising pre-flop over the blinds in an attempt to get them to fold without seeing the flop. This can be profitable as the numbers say that the small blind folds to a raise 85% of the time while the big blind folds to a raise 45% of the time. The thing about playing from this position, and why this is a smart strategy from the button is, if you’re going to play it then you should raise it. You have no idea what the blinds have, but if you simply call they might play something they would normally fold and then catch something they had no business catching. Since you are possibly bluffing here as well, you need to raise in hopes of stealing the blinds. While the hand can play out and you still win, your main goal should be to get those blinds and get them out of the hand. A win is a win.